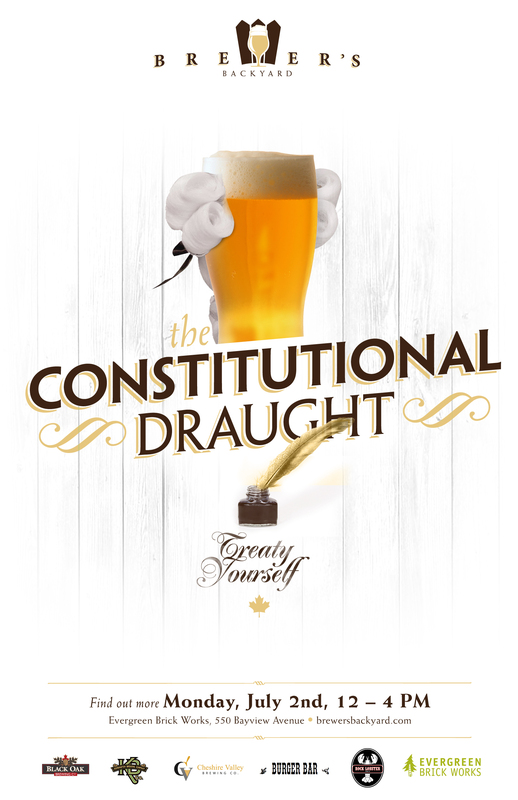 The countdown to the Constitutional Draught is on! Today in The Grid there is a feature about Amsterdam Brewery and their participation and special beers in June’s Brewer’s Backyard. 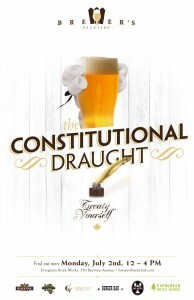 It was a great event with a load of interesting beers and our July 2nd event promises to be just as special with new beers from Black Oak, Cheshire Valley and Kensington Brewing all being poured. We also created a commemorative poster to celebrate Monday’s event – you can see that on the right. We hope you enjoy, and we hope to see you on Monday!